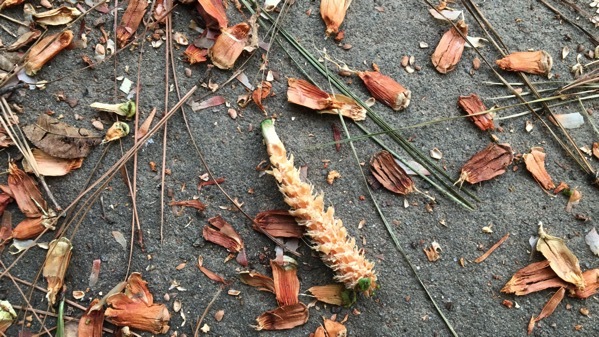 Out and about, I stood under a large pine (mentioned before here) and I was in a rain of cone-parts. Here’s a spent cone amidst conifer detritus. 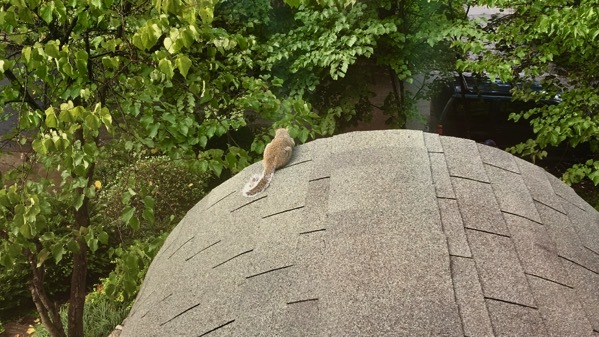 This afternoon, after two brief rain-events (with sunshine between), I spotted this rodent eyeing the street (unfazed by my activities). Is this a belly-cooling pose? This entry was posted on Friday, 17 August 2018 at 6:42 pm.